Obituary for Clement E. Kisailus, Esquire | John V. Morris Family Funeral Homes, Inc.
Local prominent and well-respected attorney, Mr. Clement E. Kisailus Esquire, passed into Eternal Life early Friday morning following a recent illness. Born on September 28, 1937 in Edwardsville, he was a son to the late Clement Francis and Mary Ann (Zavatsky) Kisailus. Educated locally, he was a member of the 1956 graduating class of the former Saint Mary's High School, Wilkes-Barre. Mr. Kisailus then furthered his education towards his vocation by attaining a Bachelor of Arts degree in 1960 from King's College, Wilkes-Barre. He later achieved his Juris Doctorate in the study of law from the Seton Hall University School of Law, South Orange, New Jersey in 1963. It was later that year that he began his career with the law firm of Tom Mack in Wilkes-Barre. 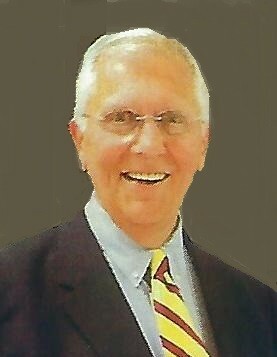 He eventually opened his own practice in Wilkes-Barre, and over the course of his tenure, served as solicitor for several municipal boroughs in the Wyoming Valley. Professionally, he held membership in the Wilkes-Barre Law and Library Association. Proud of his ethnic roots, Attorney Kisailus was also a member of several Lithuanian and Slovak fraternal organizations. In his spare time, and having a fondness of public speaking, politics and debate, he enjoyed membership in the Toastmasters Club, while following the Philadelphia Eagles and Phillies franchises. Most of all, to those who knew and loved him, he is remembered as being a loving, devoted dad, pop pop and friend to his beloved family who will greatly miss his presence. Left to mourn his passing while cherishing his memory are his adoring children, Holly Ann Kisailus, Esquire of Wydmoor; Dr. David Kisailus and his wife Fei of Riverside, CA; Laura L. Kisailus and her husband Rodney Johnson of Pittsburgh; his former spouse, W. Lorraine (Sebolka) Kisailus of Wilkes-Barre; Grandchildren, including Cameron Kisailus, Cianna Kisailus, Jacob and Zara Johnson; Brother, Dr. Edward Kisailus and his wife Judith of Buffalo, NY; Sister, Mrs. Magdalene Radley and her husband Jack of Webster, NY; Several nieces, nephews, professional associates and dear friends. Funeral services for Attorney Kisailus will be conducted on Monday at 9:00 a.m. from the Wilkes-Barre Heights location of the John V. Morris Family Funeral Homes Inc., 281 East Northampton Street, followed by a Funeral Mass at 9:30 a.m. in Our Lady of Fatima Parish, Saint Mary of the Immaculate Conception Roman Catholic Church, 134 South Washington Street, Wilkes-Barre. The Reverend J. Duane Gavitt, pastor will serve as celebrant and homilist. Interment with the Rite of Committal will follow in Saint Ann’s Roman Catholic Cemetery, Old Route #115, Lehman Township. Relatives and friends may join the Kisailus family for visitation and remembrances Sunday afternoon from 1:00 p.m. until 3:00 p.m. at the funeral home. In lieu of floral tributes, the family would be humbled if those wishing to make a monetary contribution in their father's memory, kindly give consideration to the New Economy Technology Scholarship (NETS) at King's College, 133 North River Street, Wilkes-Barre, PA 18711-0801.